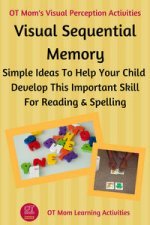 Visual Memory Activities can help develop the memory skills that your child needs in order to learn sight words. How Does Poor Visual Memory Affect Kids? The ability to recall or remember the visual details of what you have seen is known as visual memory. The following visual memory activities can be seamlessly adapted to demand visual sequential memory skills as well. Click on the quick links below to view instructions and photos for each game. Use a set of Concentration Game cards (also called Memory Game or MemoMatch). You can see some samples in the Resource section at the bottom of this page. Cards with bright, clear pictures are the easiest ones to start with.The idea is that you turn the cards face down, mix them up. Then each player takes a turn turing over two cards at a time. When you get a matching pair, you can keep them. The memory aspect comes in when you remember where the matching card is that someone turned over earlier. Upgrade to "busy" cards, cards with only small variations between pictures, or cards with abstract designs for older children or kids who need more of a challenge. I usually start with a set of 6-8 pairs and gradually increase the number of pairs used in the game as the child’s visual memory improves. The aim of the game is for the child to visually recall where the matching card was found. Playing with a parent or a sympathetic older child is best, as they can usually "lose" gracefully in order to boost your child's confidence. 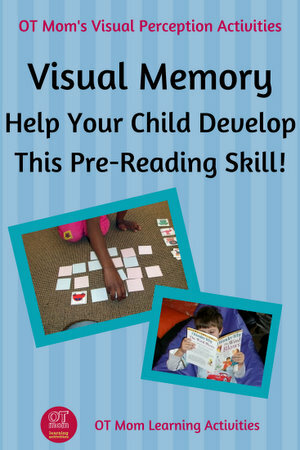 You can adapt this activity to boost visual sequential memory skills too! Kim's Game is a scouting game which is used to develop the scout’s ability to notice details and recall what was seen. I use a simple adaptation of this game. You will need a plain tray, a variety of household objects and/or small toys, and a cloth to cover the items. Make sure your child knows the names of all the objects or toys you will use. You can adapt the game according to the age and ability of your child by altering the number of objects shown and/or the time given to look at them! Without your child seeing, place a few items on the tray, and cover them up with a cloth. Remove the cover and let your child take a look at the tray for a few seconds (5-10 seconds). Try to discourage your child from saying the names of the objects out loud, as this can trigger an auditory memory response instead of visual memory. Cover the tray again and ask your child to name the objects that were on the tray. Instead of asking your child to name the objects seen, secretly take away one object, uncover the tray and ask your child to tell you what object was removed. ... and it also gives you the option of taking away 2 or 3 objects and asking your child what is missing. Again, rearranging the objects before asking your child what is missing, will also make it harder. 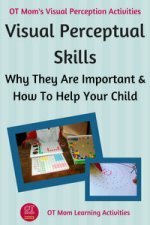 I have worked with children who had a hard time remembering what numbers looked like, even though they had a good grasp of number concepts and could count correctly. I used a variety of visual memory activities with them, and this helped them to remember what numbers, and ultimately letters, looked like. 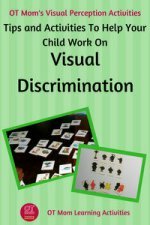 I also worked on visual discrimination skills to help kids see the difference between the numbers, and I used visual sequential memory activities as well. If you are at all concerned about your child's memory skills, please seek a professional opinion. 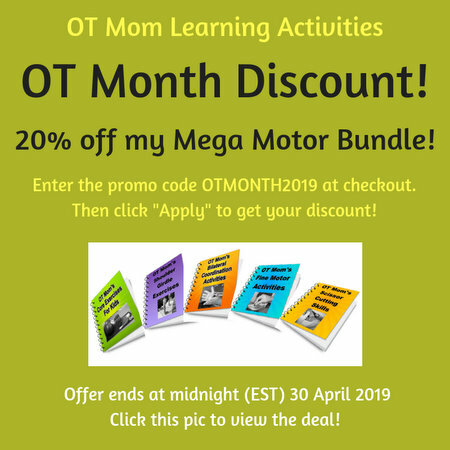 These are a few resources that I have found helpful with my own kids and in a therapy setting. 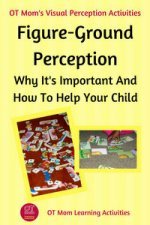 Find it over on my Visual Perceptual Worksheets page! Thank you for visiting my site, and I hope you find these suggestions helpful!